The bookdives deep in the ocean of Basic Objects which have unfathomable qualities. These Basic Objects have been taken from physics, arithmetic, language, sociology and other disciplines. 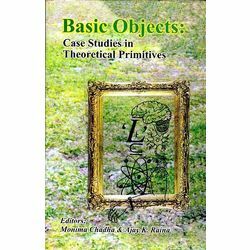 It contains nine cases in theoretic primitives from national and international experts. The book presents intellectual panorama of highest metaphysical and scientific nature to the scholarly world.